Taken from: Making No. 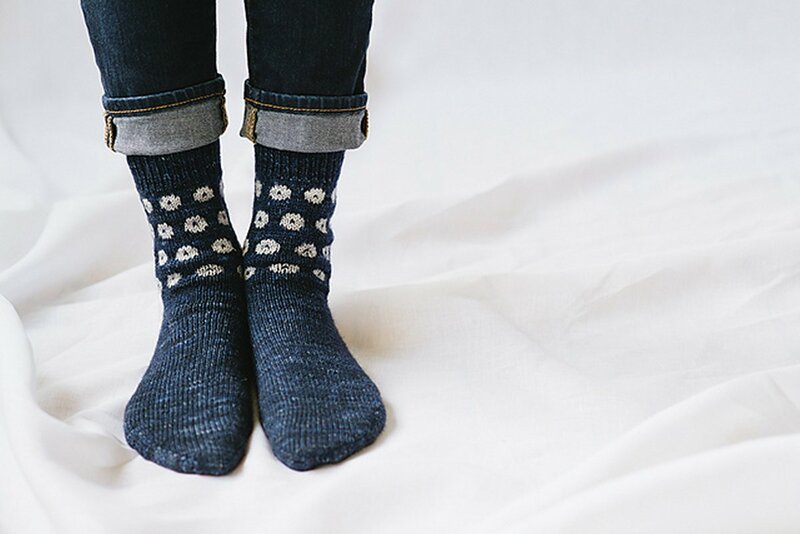 3 / Dots "Kanoko Socks" - Cute socks with polka-dots. This pattern is from Making No. 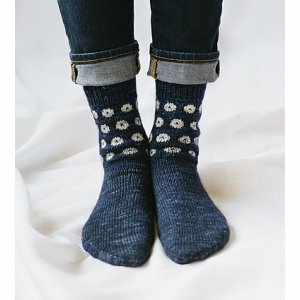 3 / Dots "Kanoko Socks". Size US 1.5, 2.5, and 3 needles (or sizes needed to obtain gauge) are required but not included. Finished Measurements: 8" (20.5 cm) Foot circumference x 8" (20.5) length, heel to cuff x 9½" (24 cm) length, heel to toe. Gauge: 32 stitches and 42 rows = 4 inches in Stockinette stitch. Yarn shown is Spunky Eclectic Skinny Sock. We do not currently carry this yarn, but Madelinetosh Tosh Sock is a great substitute.